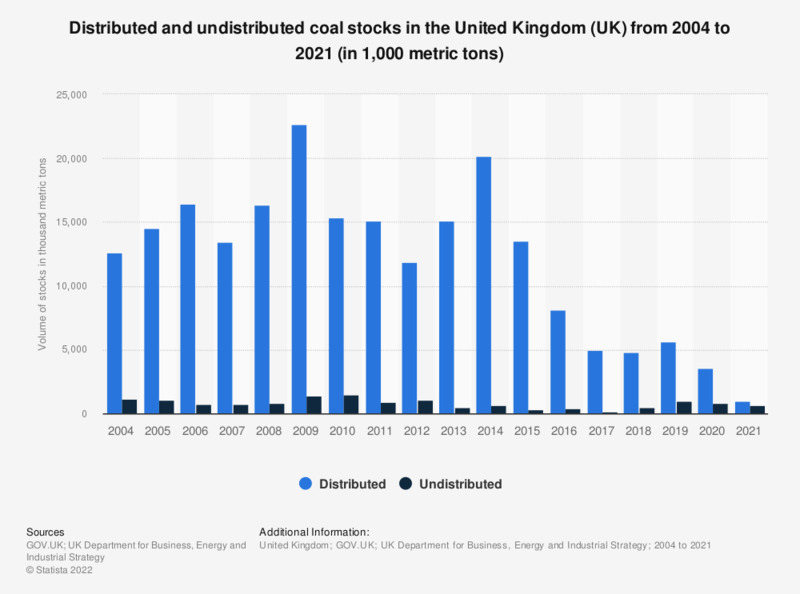 This statistic shows volumes of distributed and undistributed coal stocks in the United Kingdom (UK) between 2004 and 2017. Distributed coal stocks amounted to 5.1 million metric tons in 2017. Figures represent coal stocks at the end of the year, excluding distributed stocks held in merchants' yards, etc., mainly for the domestic market and stocks held by the industrial sector.